Home » The 38th Annual Fall Festival! 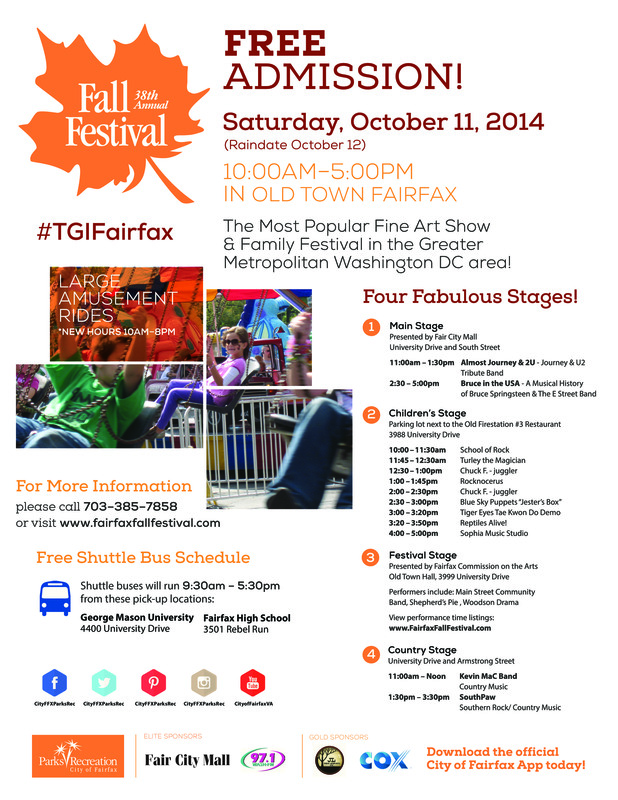 As the leaves change colors and the weather cools, enjoy a fun-filled Saturday with the family on October 11th at the 38th Annual Fall Festival in Old Town Fairfax, from 10AM until 5PM. There will be a variety of activities and events to be a part of, including amusement rides, four live music acts (Bruce in the USA, The Reflex, Kevin Mac Band, and Southpaw), magic shows, and more. For more info, view the printable flyer and head over to the Fall Festival website here.